The judge criticized for his controversial Stanford sexual assault ruling is under fire again for giving yet another college athlete a pass on jail time despite an assault charge. Court records show Santa Clara County Superior Court Judge Aaron Persky wanted to allow the student to go to college and play football. The development came to light Friday and outraged groups who wanted the judge off the bench. They say they are angry not just because Persky let the student walk last year, but also because of how aggressive the now 22-year-old was to his ex-girlfriend. Ikaika Lukas Gunderson confessed to police that he hit the woman in a Sunnyvale parking lot in February 2015. Police statements indicate that Gunderson and the girl he dated for 15 months were drinking in downtown Sunnyvale before they sat in his car and began arguing. He then "shoved, backhanded and choked" the victim, who suffered a cut under her left eye, another cut to her upper lip and bruises on her face, back, shoulders and leg. Gunderson also is accused of pushing the victim's head against the passenger-side window and strangling her for a few seconds. He then pushed her out of his car. Feet still in the vehicle, the victim's back and head hit the ground as she fell out, crying, according to police statements. But when the athlete went to court, Persky delayed Gunderson's sentencing for a year, so the student could play football at the University of Hawaii. Then the judge reduced the charge to a misdemeanor, if the student completed a domestic violence program. 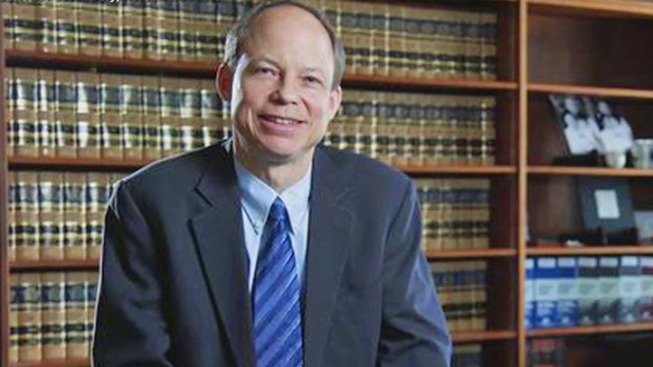 “The handling of this case is worse in many ways then the handling in the Turner case because at least Mr. Turner went to jail and was on felony probation,” said Michelle Dauber of the Committee to Recall Judge Persky. Persky was slammed after sentencing former Stanford University swimmer Brock Turner to only six months in jail after he sexually assaulted an intoxicated and unconscious woman after a fraternity party. Persky “clearly has some bias in the area of college athletes,” said Michelle Dauber of the Committee to Recall Judge Persky. For his part, Gunderson never finished his court-ordered program or even college. “No supervision at all, he was in another state, the other state wasn't aware he was there, he didn't report to a probation officer,” Dauber said. Two months later, Gunderson was arrested again on a domestic assault charge in Washington State. This time, he punched his father in the face, documents show. Gunderson’s case, protestors say, is indicative of a trend that the judge is out of touch. On Thursday, Persky said he would no longer hear criminal cases and will move to civil court Sept. 6 – just a few days after Turner finishes his six-month sentence. Critics, meanwhile, have not stopped demanding Persky’s recall. They are now collecting signatures to put it on the ballot next April.